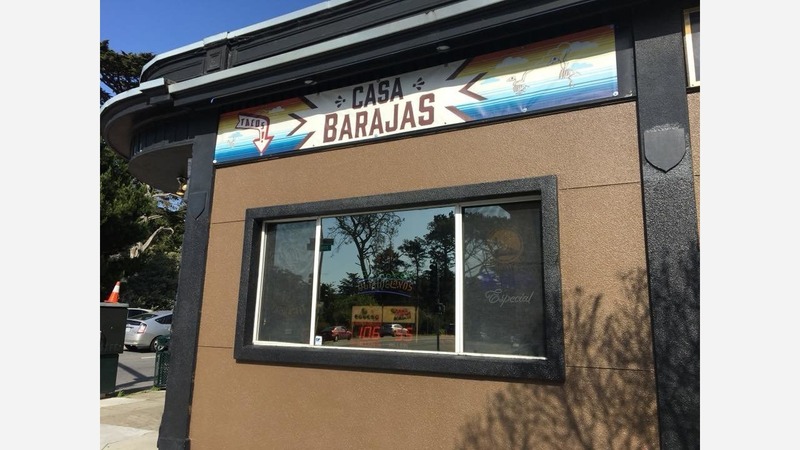 Mexican eatery Casa Barajas opened in the Sunset this month in partnership with watering hole Chug Pub, serving an array of mainstays like burritos, crispy tacos, burgers, and more. Owner Sergio Barajas hails from a line of local restaurateurs; his father owns permanent food truck Taqueria Cazadores at 1600 Mission St. (at S. Van Ness Avenue) and owned another restaurant on Noriega Street at one time. "I grew up in the restaurant business," said Barajas via telephone. "My family couldn't afford a nanny at the time, so we always hung out at the restaurant. I washed dishes, made the sauces and salsa, anything to help out." Barajas said he'd always thought about finding a brick-and-mortar location, but the opportunity to open at the bar happened by chance. Due to temporary infrastructure issues at his father's shop, the business had to shut down for a spell. While searching for a commissary kitchen, Barajas happened to drive past Chug Pub. "The door was open and the owner was there," he said. "It turns out they were looking for a partner and thankfully it was a good fit." The bar has had various eateries use its kitchen in partnership over the years, including Adam's Grub Truck, Yucca Tacos and Uyghur Taamliri. Casa Barajas has a two-year contract. "The kitchen was ready to go, but I'm resetting the dining area," said Barajas, who's adding eight and four-top tables "to create more of a restaurant-bar vibe." Because the eatery is inside a bar, all dine-in customers must be 21 or older. "We're looking into getting the proper permits to be able to open the doors for anybody," said Barajas, who noted that the bulk of orders are submitted via delivery service Grubhub. 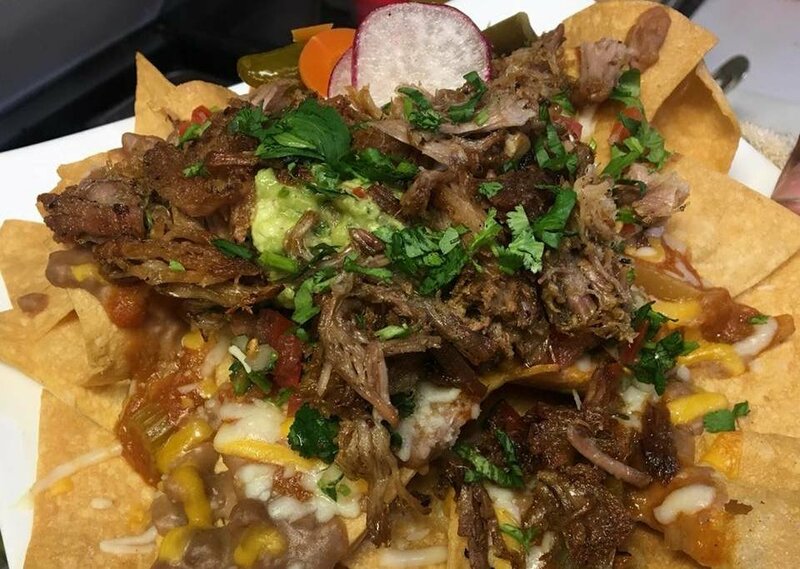 Barajas said house specialties include grilled burritos, crispy tinga tacos with chipotle pulled pork, caramelized onions, cheese, sour cream and a house-made tomato-vinegar sauce; and carnitas, which are, "without a doubt, some of the best in the city," he said. "Everything is prepared fresh daily and comes from good purveyors," he added. Other standout dishes for the bar crowd are carne asada fries, burgers made with a half-pound of freshly ground beef, and shrimp tacos with garlic, onions, black beans, sour cream, pico de gallo and fresh avocado. 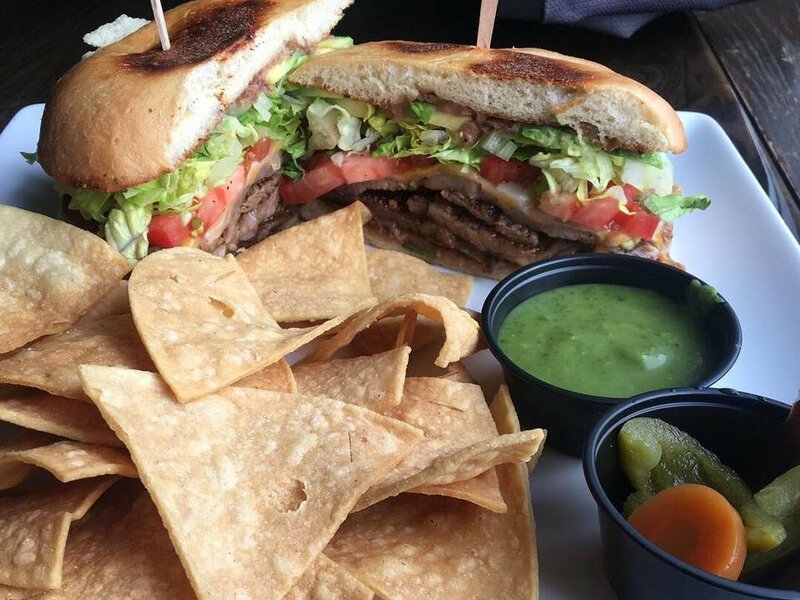 Casa Barajas (1849 Lincoln Way at 20th Avenue) is open Monday, Tuesday, Thursday and Friday 5-10:30 p.m. and on Weekends 4-10:30 p.m.